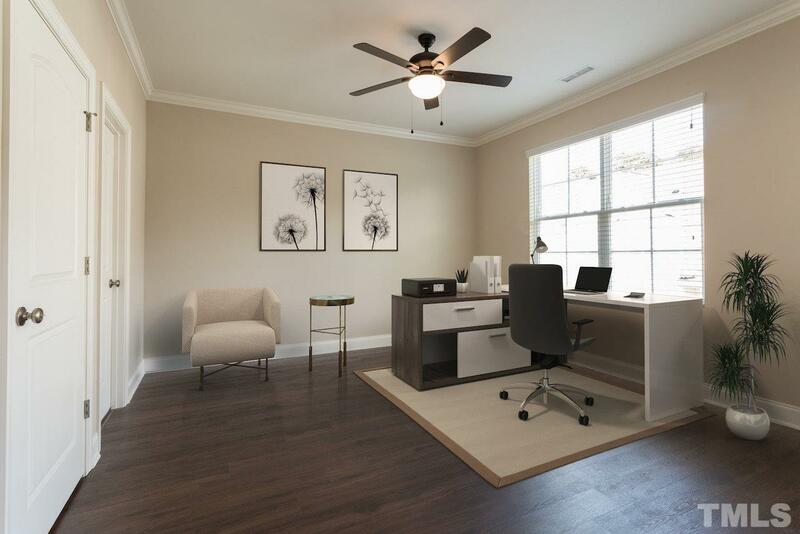 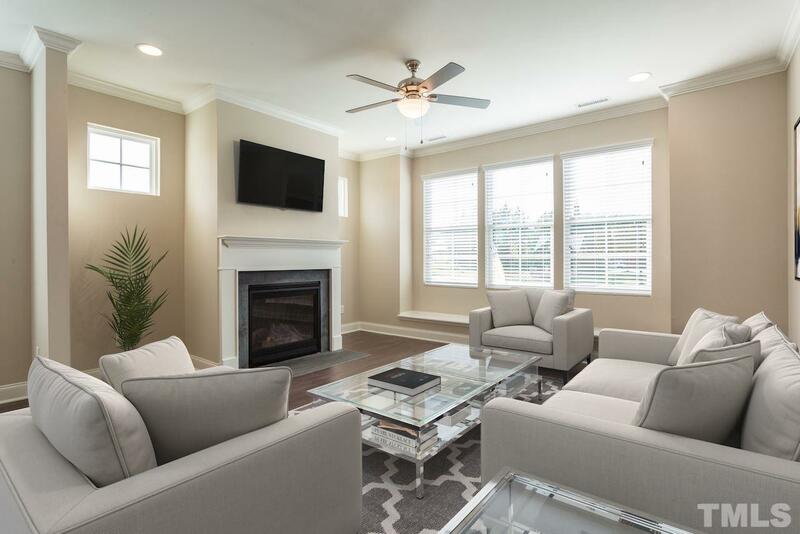 Beautiful new construction townhome Franklin II end unit model in popular Franklin St Townes in downtown Wake Forest, located on private street backing up to wooded area. 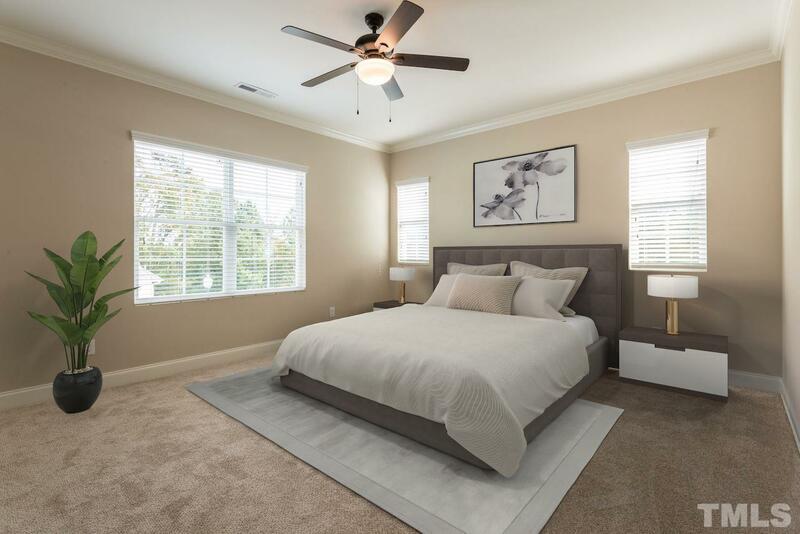 4 bedrooms, including bedroom on main level with private balcony, lots of luxury upgrades including fireplace, gourmet kitchen with granite, luxury master suite with granite counters and tiled shower. 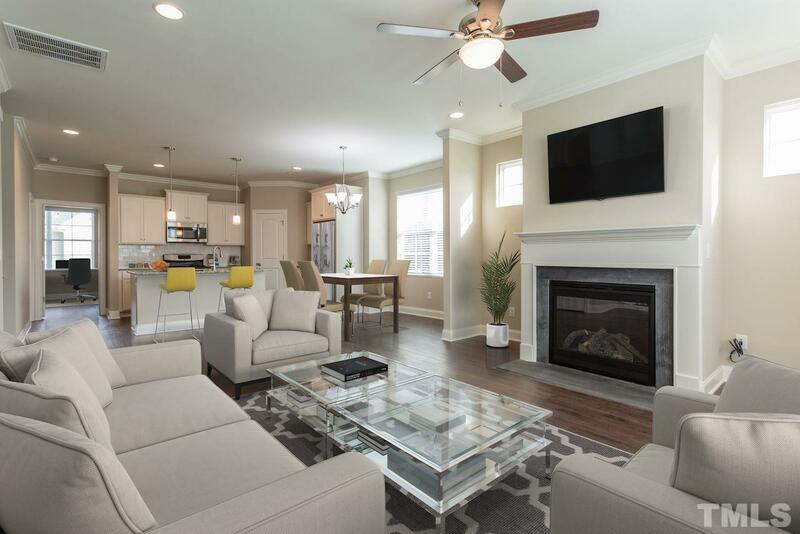 Oversized 2 car garage, bonus lower level, located in downtown wake forest, close to shopping, dining and entertainment.